Blichmann Engineering Fermenators ship directly from the manufacturer. Please allow 1-3 weeks for delivery. 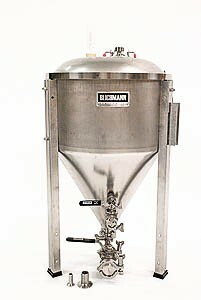 Blichmann Fermenator Conical 14.5 Gallon Tri-Clamp Fittings. 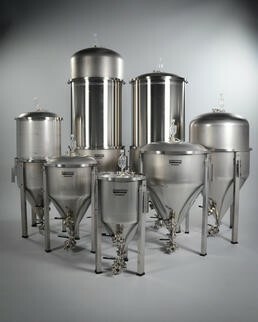 The Fermenator™ from Blichmann Engineering is the only weld-free interior fermentor on the market! The surface where the fittings penetrate is smooth, with no weld "ripples," so it's easy to sanitize. With weld-free fittings, you get the peace of mind that comes with clean, bacteria-free beer. Conical fermenters are great for using just a single vessel to do primary and secondary fermentation. Simply use the dump valve to remove yeast and sediment when primary fermentation is complete.